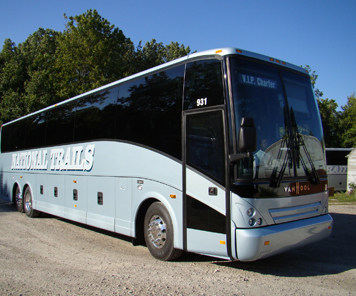 Charter Bus Rental Service in Southfield, MI | National Trails, Inc. Luxury Charter Bus Transportation Anywhere in the U.S.A! From single day trips to cross-country journeys, our modern vehicles and professional drivers will get you there in comfort. Welcome to National Trails, where we have a modern fleet of luxury highway coaches ready to take you to your intended destination! Our clean and modern coaches can carry up to 56 passengers and offer absolute comfort and luxury. If you're looking for a reliable, affordable and safe bus charter service to take you on a trip of a lifetime, look to National Trails. We are licensed to operate in all of the continental United States, as well as Ontario, Canada. All drivers are employed by National Trails. We do not employ independent contractors. Our company uses National Trails for all of our outings and in five years, we've never had a single problem. The buses are clean and comfortable, the staff is extremely friendly, the drivers are professional and courteous. What more could you want! I highly recommend National Trails. * - Mike R.